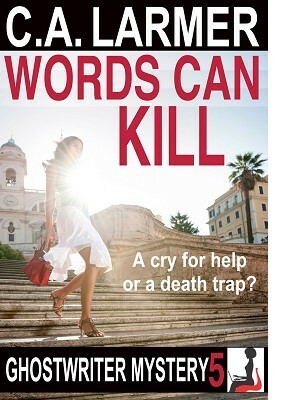 WORDS CAN KILL is the fifth stand-alone mystery in the popular amateur women sleuths series featuring sassy ghostwriter Roxy Parker. Fasten your seatbelts for a cozy mystery ride through Europe — but remember, this ain't no holiday. Hunky photographer Max Farrell has just vanished into thin air, his last sighting in the arms of a blonde floozy at a Swiss mountain resort. Max’s estranged girlfriend Roxy Parker pretends she doesn’t care but when his flatmate shows up murdered, bludgeoned by his own guitar, and then the floozy takes a dive off a cliff on the Italian Riviera, she must face the truth at last—Max’s life is hanging in the balance and she is his only hope.